Urukku by Nasreen Jahan is a popular Bengali novel which is written by Nasrin Jahan. The book was first published in 1993 & one of best selling book. Nasreen Jahan is a modern Bangladeshi author and literary editor, Novelist. She born in 1966, Mymensingh. The Author is familiar for her novel "Urukku" which is award winning and published in 1993. The Novel was critically acclaimed and became a hit. for this novel she got Philips Literary Award in 1994. 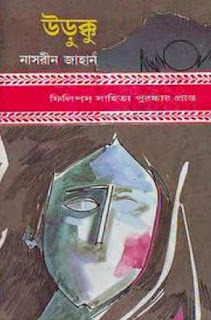 Popular Novel, Books of Nasrin Jahan are Urukku, Sisem Duyar Khola, Nikuntina, Adharae Rangin Rakhal, Kuashar Fona, Kabatchkundol, Chandrer Prothom Kola, Baidehi, Lii, etc. Download Nasrin Jahan Popular Books, Bangla Novels, Short Stories in pdf and Read Urukku by Nasreen Jahan.